As a military family, we live far from family and have had to travel MANY times to go home for the holidays and throughout the year. Traveling with infants? It's a topic we are all too familiar with. If you have plans to travel for Christmas this week, be sure to check out my post on the Brica blog for my personal tips to make traveling with little ones easier. I wish you all a wonderful Christmas and safe travels! I love the bassinet - thanks for directing me to it! Love it!!! So happy you had a safe holiday season! 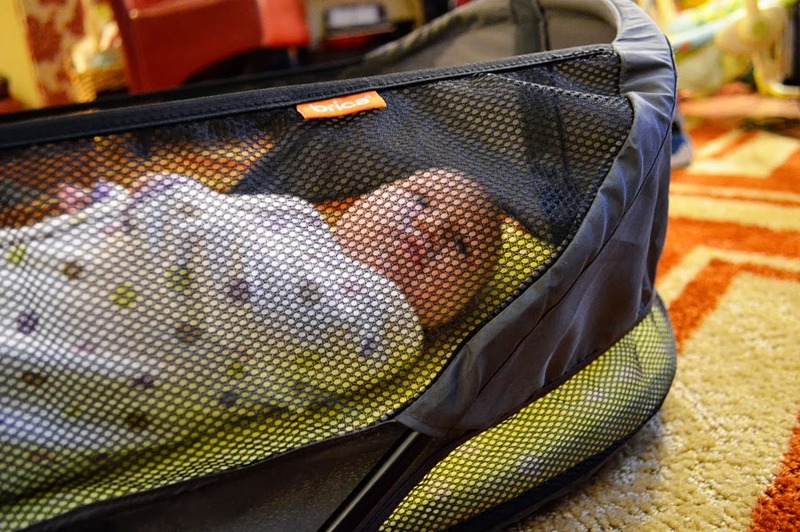 I've been looking at a bassinet that's good for travelling! Thanks for this post. Our second is due around Christmas and we travel a lot to visit family.